the largest continent in the world. Asia is the biggest continent in the world. Filled with thousands of incredible natural and man-made wonders, its vast lands have been a tourist favorite for foreigners from different lands and cultures. With around 30 percent of the earth’s surface area, Asia is the largest of the seven continents. With the many landmarks found in Asia, such as the Great Wall of China to the crystal-clear waters of the Philippines, it’s without a doubt that Asia contains endless hotspots to visit for any tourist. Aside from the natural and man-made wonders you can find, the people of this large continent are some of the most beautiful and respectful there is. Roughly around 60 percent of the earth’s population resides in Asia. The top six most populous cities and metropolitan areas are located within the continent. One of the most visited cities in Asia is Bangkok, the capital city of Thailand, which is an example of how multicultural the countries are in terms of tourism. 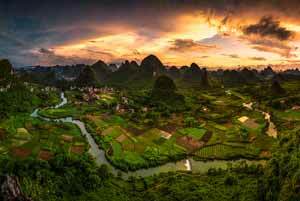 Asia still has unexplored places despite the astounding economic growth and population it has. The climate varies according to location and physical geography. Some places experience the four seasons of spring, summer, fall, and winter while others have a tropical climate. It is broadly divided into six regions which includes: Northern Asia, Eastern Asia, Central Asia, Western Asia, Southern Asia, and South-East Asia. No matter the region, there is a different climate for each respective area. Not only is Asia diverse in climate, it is massively diverse in culture, history, race, and economy, making the vast continent a perfect option for anyone seeking adventure, love, and leisure. In terms of its history, many of the continent’s past events have helped shaped the countries in all six regions. Though granted, each has their own politics, history, and economy, the entirety of all their heritages are somehow connected to one another. That’s one of the most beautiful aspects of this region; diversity is present, yet each culture is connected in one way or another. The dating culture and marriage culture of Asian women differ, and is based on their respective culture and traditions. In the past, the numerous countries and economies that Asia holds have their own role in the development of the continent, and in the pages of history itself. From religion to the various colonization of different regions. It’s without a doubt that the countries today have left their own mark within their neighbors’ land. The Middle East is known as “the cradle of western civilization” having the Greek empire, Roman empire, Persian empire, and the Ottoman empire. These empires were among the great civilizations that have prospered and changed the entire continent through their conquests and influence. With our A New Wife singles tours and services, you get the chance to travel to any city within Asia that you desire. We provide you with top of the line services and accommodations, while you explore the largest continent in the world with a gorgeous single A New Wife woman by your side. Fall in love with Asia and the many beautiful Asian women through our services today. are seeking marriage with foreign men like you! There are many factors as to why single Asian women are some of the most sought-after brides in the world. It is known that women in Asia have qualities that make them great mothers and wives. From their traditional values to their deeply caring nature, Asian women in love are surely amazing partners to keep for life. When Asian women fall in love and say “yes” to tying the knot with their partners, it’s expected that the marriage would last. Most women in Asia are accustomed to the traditional values of relationships and marriages. One of the best examples of this is their adherence to the sacred foundation of matrimony. Divorce is never an option for these ladies. Asian women will always choose to fight for their husbands until the very end. Through thick or thin, these women are some of the strongest mothers and wives there are. Their loving and nurturing nature has made them recognized throughout the world. Their teachings and the values they have learned throughout their childhood is passed on to their children and partners. Always choosing the happiness of their loved ones over their own, it is no wonder why foreign men in Western borders choose to find A New Wife bride in Asia. Their culture and heritage has given risen to their incredibly strong sense of justice and love. 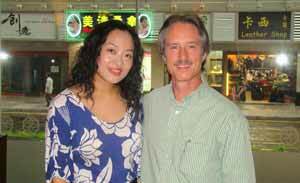 Learn how to meet women in A New Wife and get the chance to personally meet single Asian women today. Sign up for our A New Wife Asian Singles tours to any city within Asia, and travel to the scenic landscapes and metropolitan landmarks alongside your desired woman. Registration is free! Once signed up, you can immediately avail of our various services, including the assistance of our best foreign marriage agency and matchmakers who will assist you every step of the way. Start your romantic foreign journey with us today!